Screen grab of CCTV footage of Safa Annour walking with a woman the day before she died. Supplied by ACT Policing. Police have released CCTV footage of two-year-old Safa Annour with an unknown woman the day before the toddler was murdered as police continue their investigation into the cause of her death. Around 1:50 pm on 30 April 2018, Safa was taken to Canberra Hospital where she died a short time later. A post-mortem examination found the child died from blunt force trauma and fatal internal bleeding, which were caused by another person. 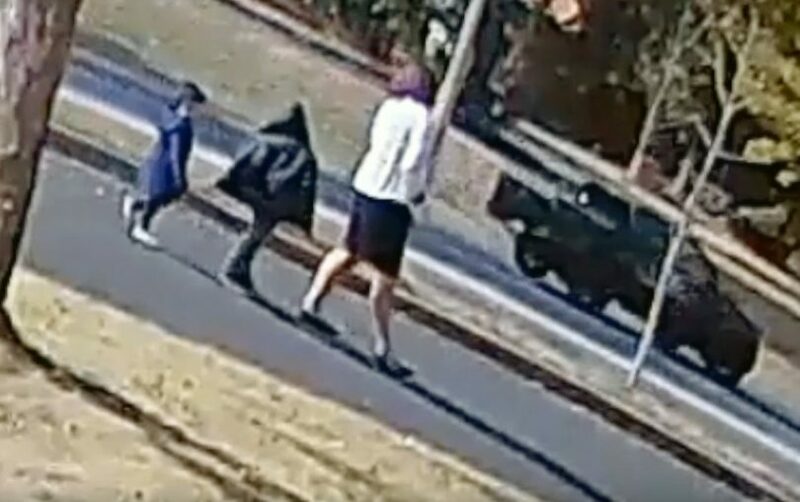 ACT Policing has released new CCTV footage of Safa the day before she died as police look to identify the woman walking with the toddler on Sunday 29 April 2018 in the area of Sturt Avenue, Narrabundah. Police said the woman is not a suspect, but believe she may be able to provide information about Safa in the days before she died. Two weeks ago, police released footage of Safa on the day she died, with Transport Canberra bus footage taken around 8:40 am in Stuart Street, Griffith showing the child uninjured and waving happily to the bus driver. Police said they have identified two people responsible for Safa’s care during the time she was suspected to have received her fatal injuries, but would not say what relationship these people had with Safa. Police believe there are people in the community who have information relating to Safa’s murder, and they are calling for anyone with information surrounding her death to come forward. Information can be provided to Crime Stoppers on 1800 333 000 or contact the investigators directly on 0427 598 207. Please quote reference 6261136. Information can be provided anonymously. What happened to two-year-old Safa Annour?